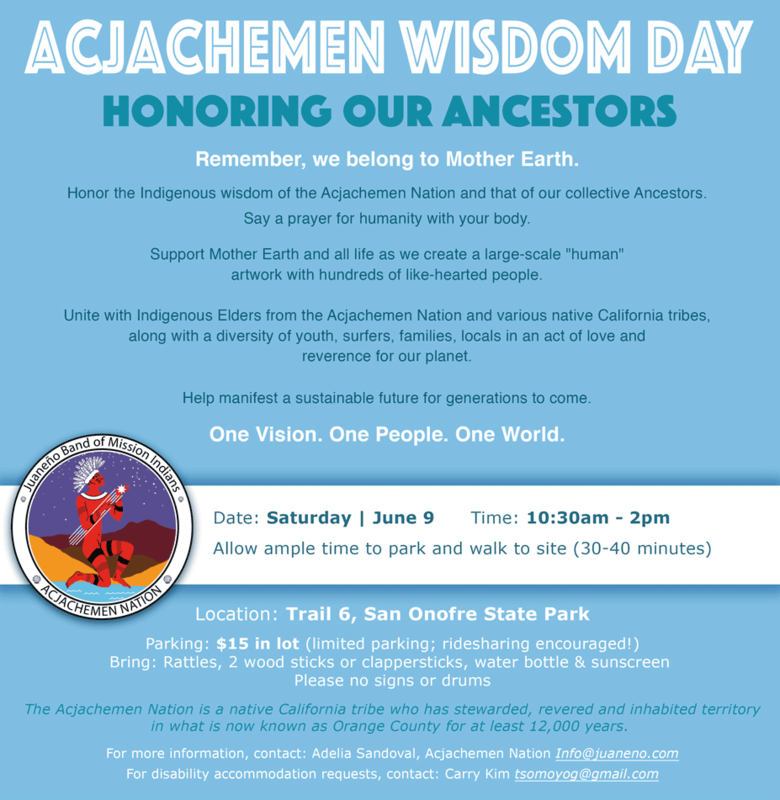 Everyone is invited to take part in an evocative, human art installation, headed up by famed aerial artist John Quigley in collaboration with Members of the Acjachemen Nation, (pronounced “Aw-hawsh-a-man”), diverse groups of California natives, Spectral Q Aerial Art and a community of supporters. A day at San Onofre Beach to reinforce the vision of a sustainable future for coming generations, to preserve the sacred legacy of the ancestral lands and waters in and around San Onofre Beach, and to inspire others to re-establish their connection to Mother Earth, this event is meant to honor the indigenous legacy the Acjachemen tribe which has been present in Orange County for 12,000 years. 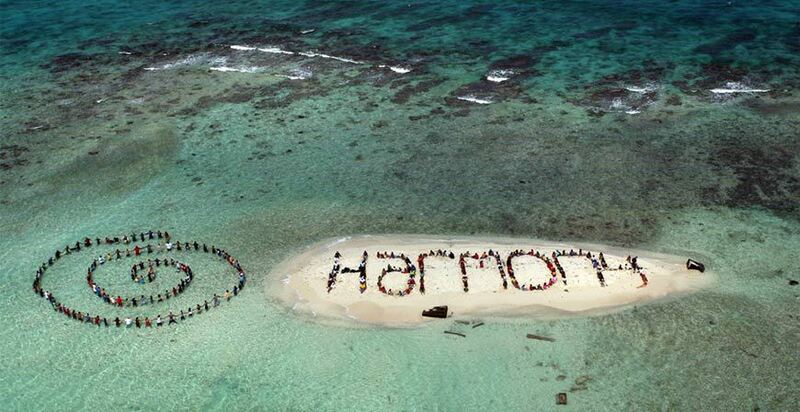 The event includes a ceremonial procession to the beach led by Acjachemen Elders and tribal members, presentations from prominent Elders, youth speakers, cultural practitioners, select world music performers including Larisa Stow & Shakti Tribe, and traditional songs and ceremony.